Being a member of the ACG community has off-campus benefits too! 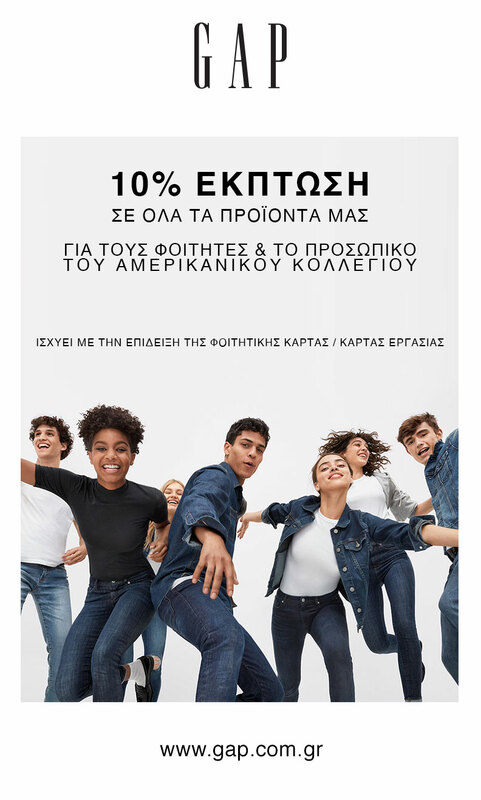 The American College of Greece cooperates with e-shops, retailers and other providers to offer ACG students and employees exclusive discounts upon purchase of selected goods and services. 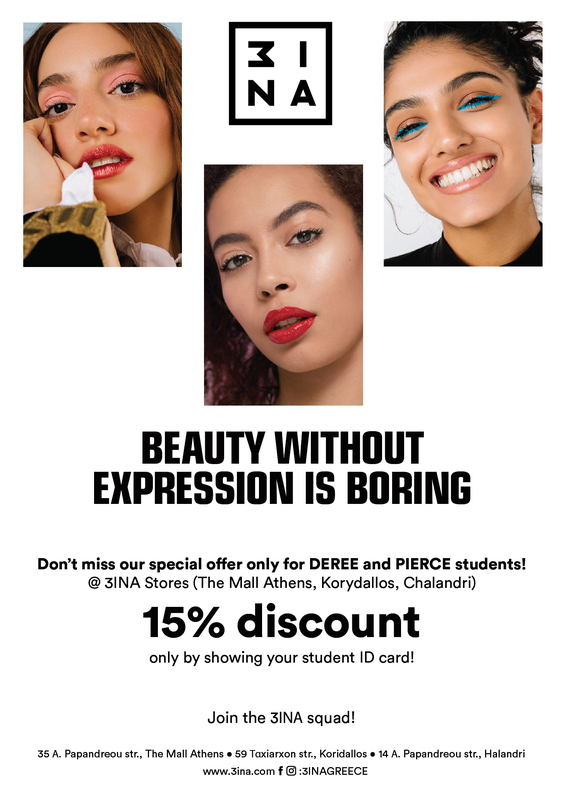 Current students; inbound Study Abroad students; faculty and staff of The American College of Greece, can use the services to purchase selected items with a special ACG discount price. On this page you can find a list of the brands and stores ACG cooperates with to offer the ACG community more benefits, even off-campus! Please visit often as the list will be continuously updated with more. By choosing to purchase items or services of the listed brands, you will be offered an exclusive ACG discount by presenting a certification of your ACG identity. Please visit this page regularly for more offers and discounts! AEGEAN YACHTING S.A. | Sailing Vacations | 10% discount with ACG ID. Aqualized Dive Adventures | Dive Centre | 20% discount with ACG ID. More info here. Bag Stories | Bags, Suitcases & Travel Accessories | 10% discount with ACG ID. C-MARSO NAIL & BEAUTY COMPANY | Nail & Beauty Company | 15% with ACG ID (Vassileos Georgiou 8 street, Halandri tel. 210685804 & Agias Paraskevis 100 street, Halandri Tel 210 6752920). CROSTACEO | Dive Centre & Water sports Club | 20% discount with ACG ID. Dance Action. | Dance School | 10% discount with ACG ID. Daskalakis Bros. | Hardware store for construction materials | 10% discount with ACG ID. Deep Hair Room. | Hairstyle | 10% discount with ACG ID. Dia Gerondoudi. | Preparatory courses | 10% discount with ACG ID. Discover Greek Culture. | Cultural Tourism | 15% discount with ACG ID. DOLCE VITA. | Nuts, Dry Fruits & Sweets | 15% discount with ACG ID. Address: 18 Miaouli str. 15344 Gerakas, tel. 210 6616114. EUROMEDICA East Attica | Medical Tests | 20% discount with ACG ID. Eyed Optical Store | Opticals | 30% discount with ACG ID. FAIRPLAY / 123 merch | Clothing, books & tickets | 10% discount using discount code ACG15. Grace Mykonos & Santorini | Hotels | 20% discount with ACG ID (excluding high season dates). GREEN S.A. | Energy supply | Up to 12% discount with ACG ID. GSA. | Athletic apparels | 25% discount with ACG ID. Habitat | Houseware, tableware | 10% discount with ACG ID. Hair Experts Salon & Spa | Hair Salon | 20% discount with ACG ID. INTERSPORT | Footwear, clothing and accessories | 10% discount with ACG ID available only in Aghia Paraskevi Store,429 Mesogion Ave.Tel. : 210 6390768 (Promotion products are excluded). IONIA | Houseware, tableware | 10% discount with ACG ID. iStorm Apple Premium Reseller | Mac & iPad | 10% discount with ACG ID. i-System | Apple Premium Reseller & Premium Service Provider | 6% discount on MAC computers with ACG ID. Kenwood – Delonghi – Braun | Electrical Appliances | Lowest market prices with ACG ID (for orders please call 210 2854874). KiBi Sushi Bar | Sushi Restaurant | 15% discount with ACG ID. Kleidamparomata Athanassopoulos | Locksmith | 10% discount with ACG ID. 433 Mesogion Ave., Aghia Paraskevi, Tel. : 210 6008888 . Komboloi Museum | Komboloi Shop | 20% with ACG ID. Koolfly Store | Clothes and accessories | 10% discount with ACG ID. La Pasteria | Restaurant | 20% discount by demonstrating the ACG ID before ordering. Offer valid only for the Ag. Paraskevi restaurant. Offer not valid for take away, delivery, special offers and special menus. Lithos Kosmima | Handmade jewelry with silver & semiprecious gemstones | 20% discount with ACG ID. Mantadis S. OE Fabrics | Textile manufacture, upholstery | 10% discount with ACG ID. Michos Electronics Store | Electronic equipment and gadgets | 10% discount with ACG ID. MIGATO (Aghia Paraskevi) | Shoes | 10% discount with ACG ID. NAKAS BOOK HOUSE | Chain of bookshops | 15% discount with ACG ID. Newcult | Clothing | 15% discount with ACG ID. Pappas Elevators | Installation and maintenance of elevators | Technical or elevator aesthetic improvements up to 400€ in every new customer with ACG ID. Scooterise | Athens Tours on Electric Vehicles | 15% discount with ACG ID. Skrekis Electronics Store | Electronic equipment and gadgets | 10% discount with ACG ID. Ski-in Ski-out Pleiades Hotel | Hotel | 10% discount with ACG ID. Stegi Grammaton kai Tehnon | Cultural Events | 20% discount with ACG ID (send your application to [email protected]). Temecon S.A. | Air Conditioning units | 10% discount with ACG ID. Theodosis Constantinos | Frames and artworks | 20% discount with ACG ID. Tomato | Pizza, Pasta, Cafe | 15% discount with ACG ID. Yafu | Asian Cuisine | 10% discount with ACG ID. Yoshi | Sushi | 15% discount with ACG ID. Yuppi | Cafe and Snacks | 20% discount with ACG ID.